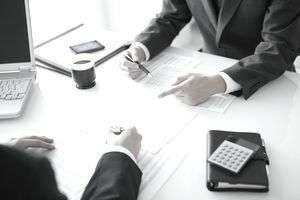 Choosing the best Vanguard funds for taxable accounts requires more of a strategic approach than the fund selection process requires for tax-deferred accounts like IRAs and 401(k)s. It's important to analyze the tax efficiency of the funds, which effects the overall performance of the portfolio. Why pay more taxes than necessary? To get the most out a portfolio of mutual funds in a taxable account, there's more than investment objective, performance history, and expenses to analyze. If you know how to identify tax-efficient funds, which Vanguard offers, you can get the most performance out of your portfolio by reducing fund expenses, as well as tax costs. Fortunately Vanguard Investments offer some of the best tax-efficient funds available on the market. But before we look at the best Vanguard funds for taxable accounts, let's take a look at how to identify the worst types of funds for taxable accounts and what to look for in the best types of funds for taxable accounts. Often, in the world of investing, the best strategy for winning in the long run is to avoid losing in the short run. And the quickest way to lose in taxable accounts is by investing in mutual funds that produce the most in taxes. Remember that investments held in a regular brokerage account are taxed on capital gains and on interest income (dividends). So when you sell a mutual fund at a price (NAV) higher than the price you purchased it, you will have a capital gain for which you will owe a tax. Also, any interest income (dividends) earned on investments in a brokerage account is taxed as ordinary income, just as if are when receiving pay from an employer. Successful investing in taxable accounts also requires an understanding of capital gains distributions, which are generated when the mutual fund manager sells shares of securities within the mutual fund and then passes those gains (and thus the taxes) on to the shareholders. Considering the nature of funds that generate the most in capital gains distributions and interest income, the worst types of funds to hold in a taxable account include actively-managed funds with high turnover ratio, funds that pay above-average dividends, and most types of bond funds. For those investors needing to generate income from mutual funds in taxable accounts, there a tax-efficient strategies, such as tax loss harvesting and the bucket system approach, that can be implemented. Now that you know which types of funds to avoid in taxable accounts, you may have a good idea about which are the the best funds to hold. Examples include index funds and funds that don't pay much or any dividends, such as small-cap growth funds. If you're looking for income-generating funds, such as bond funds, you can consider buying municipal bond funds, which are free of taxes at the federal level and possibly at the state level. When researching the best funds to buy for taxable accounts, you can also look at something called the tax-cost ratio, which expresses how much of a fund's return is reduced by taxes. So look for the lowest tax-cost ratio when buying mutual funds for taxable accounts! Vanguard Total Stock Market Index (VTSMX): If you're looking for a great core holding that's well-diversified and tax-efficient, you can't get much better than VTSMX. Although this fund is not the most tax-efficient in the Vanguard fund lineup, investors can expect VTSMX to edge out Vanguard 500 Index (VFINX) for better tax-adjusted returns. This is because the VTSMX includes small-cap stocks (VFINX does not) and this tends to boost long-term returns and reduce short-term taxes from dividends. The expense ratio for VTSMX is 0.14 percent and the minimum initial investment is $3,000. Vanguard Tax-Managed Capital Appreciation Fund (VTCLX): Vanguard offers investors several tax-managed mutual funds and the one that provides the broadest exposure to stocks is VTCLX. The fund invests in mid- and large-cap U.S. stocks, utilizing a unique index-investing style that not only keeps tax costs low but also minimizes its overall expenses. The expense ratio for VTMFX is 0.09 percent and the minimum initial investment is $10,000. Vanguard Tax-Managed Balanced Fund (VTMFX): Investors looking for a one-fund solution for their taxable account are smart to consider VTMFX to meet their needs. The fund portfolio consists of approximately 50 percent mid- and large-cap U.S. stocks, with the other 50 percent invested in federally tax-exempt municipal bonds. The expense ratio for VTMFX is 0.09 percent and the minimum initial investment is $10,000. Vanguard Intermediate-Term Tax-Exempt Fund (VWITX): The income-generating nature of bond funds can produce unwanted taxes in a taxable account but bond funds like VWITX can be a smart move for investors with taxable accounts. VWITX invests in high-quality municipal bonds, which are tax-exempt at the federal level. This combination of quality and tax-efficiency provides shareholders with a smart combination of stability and diversification. The expense ratio for VWITX is 0.19 percent and the minimum initial investment is $3,000. Vanguard Tax-Exempt Bond Index (VTEBX): Investors looking for the best bond index fund that provides broad diversification and tax-efficiency will like what they see in VTEBX. To achieve its objective of diversification and minimizing taxes, the fund invests in investment-grade municipal bonds of all maturities (short-, intermediate-, and long-term bonds). This makes VTEBX an outstanding bond fund choice for long-term investors with taxable accounts. The expense ratio for VTEBX is 0.19 percent and the minimum initial investment is $3,000. If you want to know a fund's annual turnover rate, you can look at the mutual fund's turnover ratio. Investors may also want to consider Vanguard's exchange-traded funds (ETFs), which are by nature passive investments tracking an index. Like index mutual funds, ETFs have extremely low turnover ratios, usually lower than 5 percent, and they typically have extremely low expense ratios, often lower than 0.20 percent, especially those ETFs available at Vanguard. As with any other investment decision, choosing the best mutual funds for you should begin with your investment objective and risk tolerance. Once you know which funds are appropriate for your goals, the search for the best mutual funds can take place from there. In summary, what works best for you and your investment goals is more important than tax-efficiency with mutual funds. For more on mutual fund management and portfolio construction, be sure to look at our article on what to do before you build a portfolio of mutual funds.